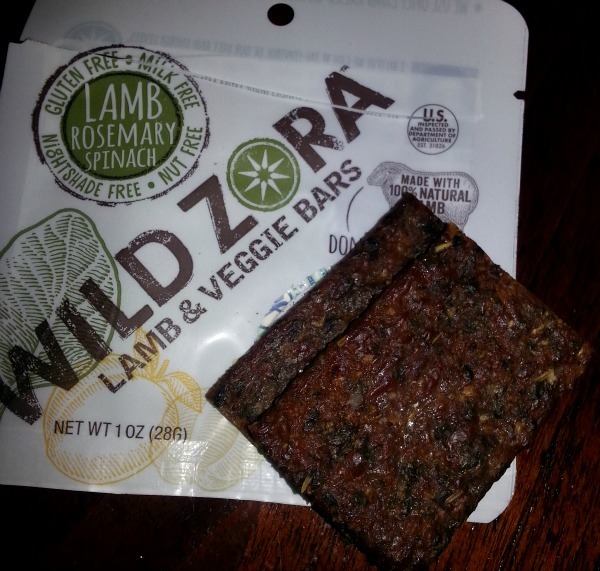 Wild Zora Meat and Veggie Bars are delicious. They are made with all natural meats and organic veggies. 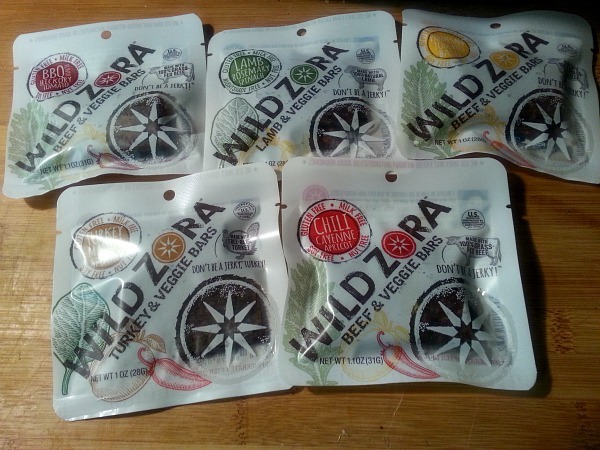 Wild Zora was created for the need to serve better, more healthy snacks to their family. They were looking for less sugary, grain filled snacks. These meat and veggies bars serve that purpose. I was lucky to try some of their different flavors and let me tell you, I loved them. My husband and I are big fans of jerky. These bars remind me of jerky but much softer and easy to chew. The tag line on the package even says "Don't Be A Jerky!" Which I think is pretty funny. Each package contains two pieces. Now that I have tried this one, I'd need a whole bunch more. I'm hooked on the great taste. I also think these meat and veggie bars would be wonderful to take on hikes and nature walks. They have a good amount of protein in them. The ingredients in the Lamb and veggie bars include: natural lamb, spinach, apricots, dates, garlic, onion, sea salt, oregano, celery powder, rosemary, turmeric. They are full of flavor and you can taste the herbs. -Every package contains about one serving of certified-organic veggies. -Allergen Friendly: No grains, no gluten, no soy, no nuts/peanuts, no MSG or chemical additives. -All of the meats are naturally and humanely raised without antibiotics or added hormones. -100% real food, cooked in their USDA-certified kitchen. It is so easy to reach for that doughnut or cookie. I feel much better when I reach for that healthy snack. You can buy them online on their website.